Dawns Designs that Delight: Pretty In Pink Blog hop with Trendy Twine! 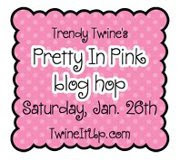 Pretty In Pink Blog hop with Trendy Twine! 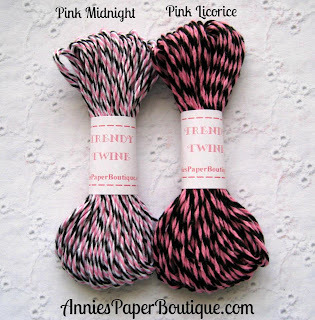 I'm super excited to be a part of the hop to announce the two NEWEST colors at Trendy Twine! Let's welcome Pink Licorice and Pink Midnight! Could there be better timing on this release? I mean the things that you could do with these for Valentines day... seriously! I'm thinking boxes, cards, spruced up valentines... endless opportunities here! AND ... GREAT NEWS ... for a limited time (this weekend only) you can get your pretty little hands on the set of two spools for only $16.50. But be sure to grab them now .. because after the weekend they back to their normal prices! Here's the link to Grab them NOW ... Pink Midnight and Pink Licorice Bundle Special. Now .. do you LOVE these but just can't bring yourself to commit to two whole spools? (Sounds crazy to me) You can grab a mini pack HERE for only $3.95. This is an introductory price for the new release .. so act fast .. deal goes away at the end of the weekend. Now .. on to the fabulous projects that the team has created to show off how awesome these colors are. Here is the line up for the hop. If you've stumbled upon my post first .. I highly suggest you go back and see the cuteness that Candi created .. then make your way back here! I promise you won't be disappointed! Dawn ~ YOU ARE HERE! For this hop I REALLY wanted to challenge myself. Get out of my comfort zone. Well .. Lesley is kinda to blame for this as she asked us all to create a 3D object. Well .. wowza .. that IS out of my comfort zone! I knew all along what I WANTED to make .. however I wasn't sure HOW I was gonna do it. Well, one evening ... one LATE evening .. I stumbled upon a talented lady's blog. Her name is Ilda Dias and she has some amazing projects that she shares with the world! Anyhow ... Ilda posted THIS project on her blog and I was TOTALLY inspired. I knew I had to make this. I contacted her and she graciously provided me with the file that she used to create this awesome gem of a project! Thanks so much Ilda! Be sure to check her out and send her some love! Here is my version of Ilda's hot air balloon. The 'basket' is a box to store your Valentine's Day treats. I've also incorporated a pull out tag to serve as a card. You can see in this picture that the tag pulls out of the box to allow for a fun Valentine's Day greeting for a friend or a loved one. Here is a close up of the box. Last but not least, a close up of the pull out tag. I hope that this project inspires you to get out of YOUR comfort zone! Who knows what I'll create next! Now, no blog hop is complete without a bit of blog candy! Well .. we've got some awesome candy for you! Three Twiners (that's YOU) will win a store coupon! Winners will be chosen by Random.org and will be posted on the Trendy Twine Blog. You need to do them all to be eligible for the prize! Deadline to enter is 10:00pm CST Monday January 28, 2013. Winners announce the following weekend! This is great. You did a great job and I love it. a marvellous and wonderful set! Just beautiful, the little twine banner just pushes it over the cuteness top for me <3 it! Fantastic job...haven't seen a better one anywhere! Thanks for sharing! I am so glad you decided to get out of your comfort zone because your project is stunning!!! Whoever receives this is sure to love it! This is simply AMAZING Dawn!!! I LOVE LOVE LOVE what you did with the twine and that balloon.....totally AWESOME!! What a stunning Valentine's Project!!! Thanks for sharing~ I will give you my address later...LOL!! Wow Dawn, what a beautiful project!!! This is amazing. I love every detail just perfect! wow!!!!! love this!!! great project!! Love the hot air balloon. You did a great job on it. Thank you for sharing. Holy Smokes, it is Gorgeous. Wonderful Work Dawn! Dawn, this is gorgeous! The papers match the twine perfectly. This is so amazing, love it, love it! Adorable project! Your hot air balloon is the cutest! I absolutely LOVE it!!! I am lovin' the color of this twine! Very fun! Incredible and stunning. You are very creative. Wow so much to see. awesome. Gorgeous, gorgeous, gorgeous! Love the papers you used and the color scheme. I also love seeing Ilda's creations! Oh my what a project..love the design and paper colours rock...thanks for sharing..
Oh my goodness. You rocked this creation, Dawn. Love this. For it to be a challenge for you, you did an incredible job! Love the papers you used too. It all looks perfect. Thank you for joining in the blog hop! Wow this is amazing togehter!! awesome creation... love it... thanks for the chance to win. What an amazing project! What lovely details! This is stunning! Thanks for the inspiration!!!!! What an awesome box & balloon! I can't even imagine how to start making that balloon. these are an incredible set, love the hot air balloon and the box with a pullout is a really cool idea too. thanks for the inspiration. Dawn what a great project, love your hot air balloon and box and tag, super job. Dawn, you are incredibly talented! Where do you find the time to do all these projects? You go girl! This is so fabulous!! I love all of the details - especially the little banners hanging from the balloon!! Cute boxes! We should all get out of our comfort zones more often! This is super cute! Not sure I'd ever have the patience to tackle something like this...perhaps that's why I'm not a DT member for any company, lol. Thanks for sharing! Wow! That is an stunning project! You did such an awesome job with all of he details you added, I just love it! You outdid yourself this time, it's AH MA ZING! Gorgeous. WOW! Absolutely amazing project! How nice of her to share the file, and you really did it justice - stunning!! Love your hot air balloon Dawn! Super cute hot air balloon! I love the colors!!! absolutely gorgeous project Dawn! I love it! You really outdid yourself on this one and it's amazing! Absolutely amazing!!!! I love all the little details!! AWESOME PROJECT! Love the patterned papers.The ballon is so cool. *swoon* I LOVE your creation!! The balloon is AWESOME!!! Wow, this balloon is beautiful, I love how it turned out! Way to go Ilda for the inspiration. Oh and plus I just love this collection by EP! Love the hot air balloon treat box !!!! My favorite out of the whole hop! Beautiful! FAB, FAB project Dawn - LOVE it! WOW! Stunning and very beautiful! Love it! Love the two designs I saw, but when I click all the rest, they all go to the same place, HTB creations. Darling project! 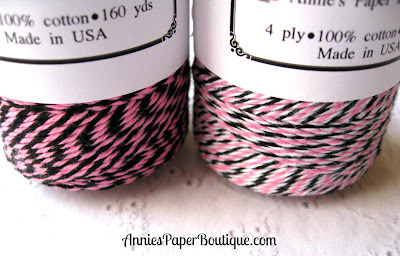 I love your paper choices and that yummy twine to accent it! What a gorgeous project way to go, love it!! That is amazing!!!! Love the use of the yummy yummy twine! Oh MY GOOD GOSH!!!! This project is stinking awesome! Love it. Great creativity and love the papers. This is absolutely gorgeous. The colors are so perfect for . Oh, wow! Super fun and yummy!! Hi Dawn!!! You did amazing with the file! Love the paper and how you finished it! I have been away and saw my inbox full of requests. Thanks so much for sharing and linking back! All content on this site is protected by copyright for Dawns Designs that Delight. Cute Calendar with Watermelon Taffy! Celebrate the New Year with some TRENDY TWINE! !